As pipe bending can be a difficult and sometimes costly secondary operation, fittings are often used join two straight sections of pipe together at an angle as needed for various pipe configurations. An integral part of plumbing and flow systems, pipe fittings must be able to safely transport all fluids, gases and even solids that may be entered into the system. For this reason and others, stainless steel is a common material used in the production of these fittings as it is extremely strong, durable and resists corrosion in a number of corrosive environments. Pulp and paper, petrochemical, water treatment, automotive, medical, dental, semiconductor, food processing and aerospace industries among others utilize these fittings in a number of different applications. Stainless steel pipe fittings are the most common choice in medical and food processing environments as high grade alloys are hygienic and easily sanitized. The many benefits of stainless steel pipe and fittings often outweighs the higher initial cost as the elemental structure of stainless steel significantly increases product longevity, reducing long term expenses such as maintenance and replacements. Although fittings may eventually need repair or replacement, this material is easily melted down and recycled, further reducing costs and waste. Steel is composed primarily of iron with varying amounts of carbon and a wide variety of additional metallic components. 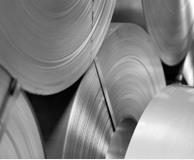 To be classified as stainless, chromium must make up at least 10% of alloy content. Stainless steels can be placed into one of four major categories based on content and properties, these categories are used to determine the proper composition required for pipe fittings in a given application. Ferritic, martensitic, duplex and austenitic are common categorizations of stainless steel with the latter being the most popular choice for pipes, tubes and fittings. Welding, seamless tubing via extrusion, die-cutting and metal spinning are common techniques employed in the production of fittings which can be conformed to work with round, oval, square and rectangular cross-sectioned pipes. Common examples of these fittings include adapters, bulkhead fittings, caps, couplings, end bells, expansion joints, flanges, reducers and elbows. The process, particular stainless steel alloy and part configuration should be carefully considered with regards to the intended use of stainless steel fittings. Further considerations include inner and outer dimensions, wall thickness, pressure rating, maximum bend radius, temperature range, length and finishing. These concerns must take into account not only what will flow through the fittings, but also the pipes to which they will be connected. Improper dimensions, for example, may lead to leaks and even the failure of a flow system. Stainless Steel Pipe Fittings Stainless steel pipe fittings are attachments used to connect or close the end of pipes and tubing to increase in-line, offset, multiport and mounting capabilities.